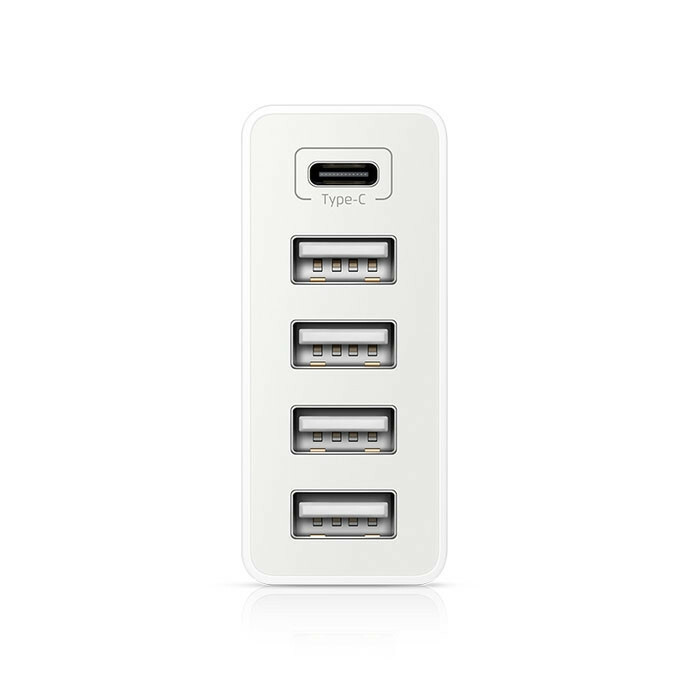 In addition to the four USB charging hole, it also provides an additional Type-C interface, more compatible. 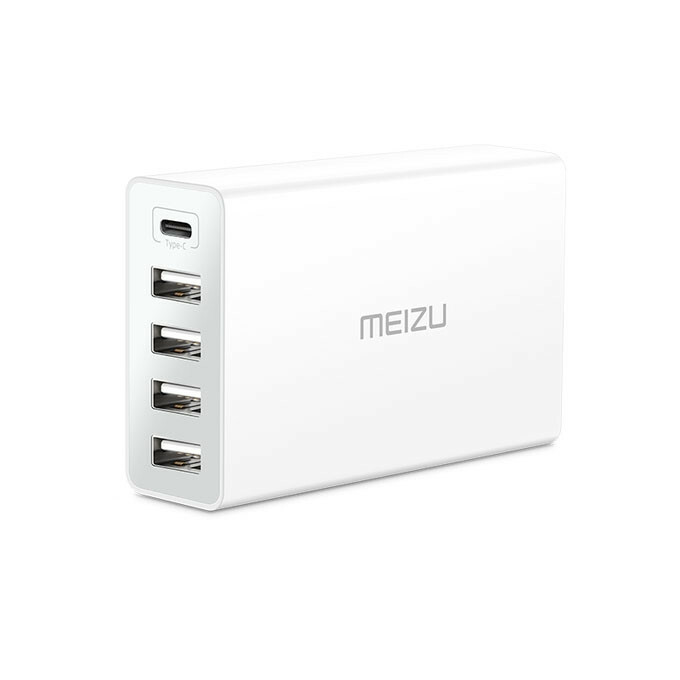 Meizu desktop multi port USB charger modeling simple, polycarbonate material, flame retardant and anti shock. The outer layer uses the mirror polishing processing, the color is only white optional. 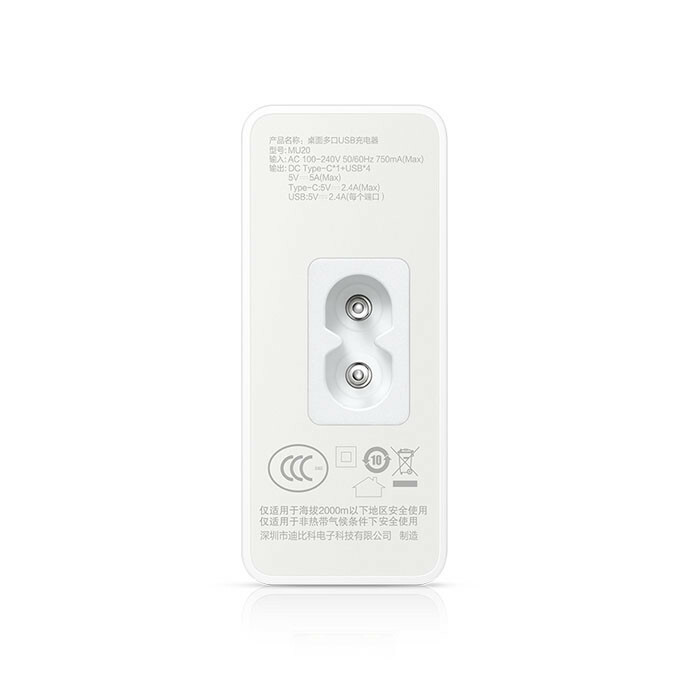 Input voltage support 100-240V 50/60Hz 750mA(Max), international general. 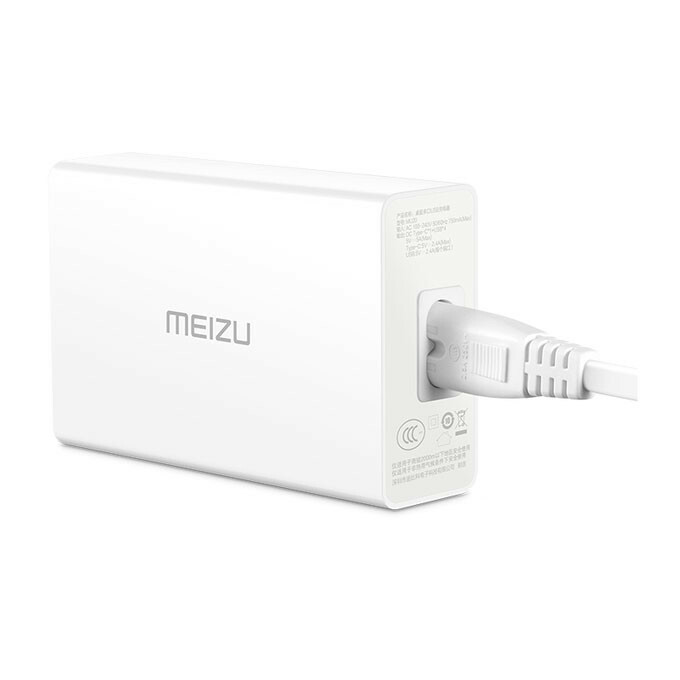 Five interface maximum output is 5V/2.4A, more than at the same time when charging the maximum support 5V/5A, intelligent adapter equipment, automatic matched current.